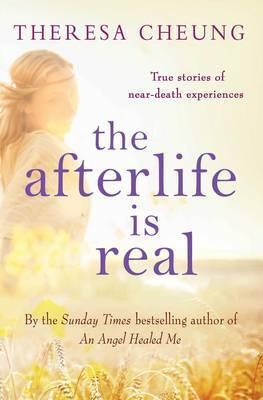 The Afterlife is Realis the latest book from much-loved paranormal expert, Theresa Cheung, and is a captivating collection of true stories from people who have glimpsed the next life. Using as evidence first-hand accounts from ordinary people whose lives have been transformed by near death experiences and/or contact with the other side, Theresa will answer the big questions that everyone asks at some point in their lives whether or not they are religious/spiritual. What happens when we die? Will we ever see our loved ones again? Is there an afterlife? Is there a heaven? Its aim is to empower readers with the knowledge that there are answers, hope and life in the midst of confusion, uncertainty and death. Theresa instructs readers in how to look for signs of spirit communication and how near death experiences can inspire and transform lives. It is a powerful and comforting reminder that there is more waiting for us than we see in the here and now.